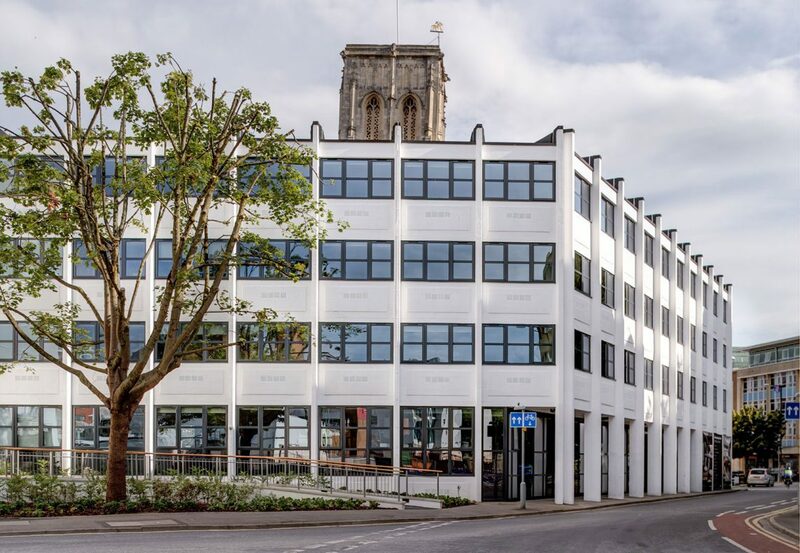 Water Lane Apartments is an exciting conversion of a former tax office building in central Bristol, providing 153 premium studios with common facilities, set against the gothic backdrop of Temple Church. 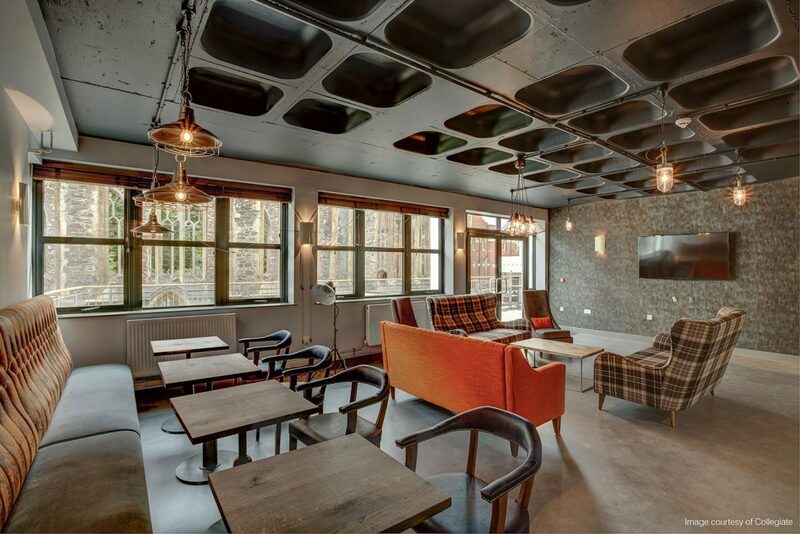 Constraints of the existing building generated a uniquely innovative solution for two distinct studio layouts. Working closely with our client and with strategic design input from their operating partners Collegiate, the concept of interlocking ‘L’ shape rooms and long, straight rooms avoided uniform repetition of rooms to offer interest and choice. 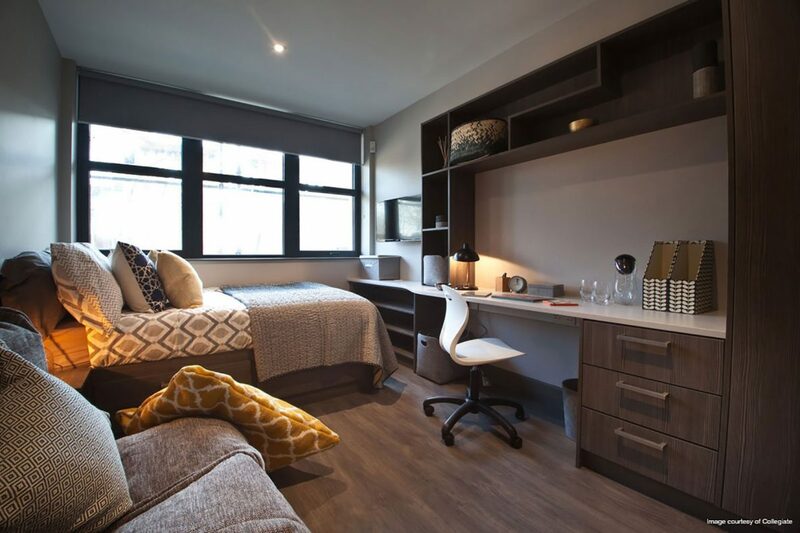 Water Lane Apartments is part of the emerging trend for premium student accommodation in central city locations, taking advantage of recent changes in planning policies that allow the conversion of disused, out-dated office buildings into vibrant new residential buildings. 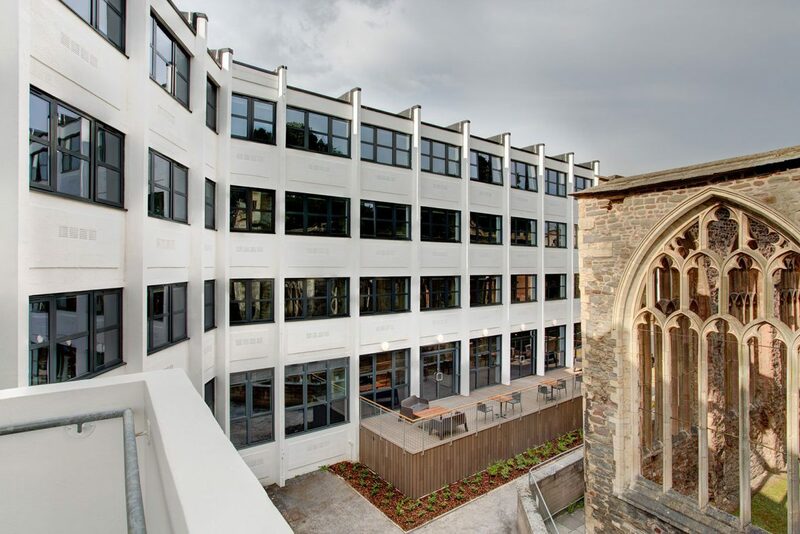 Stride Treglown were an integral part of the design and development team which successfully delivered our 153 studio scheme in central Bristol on time and within budget. They were involved from the outset in securing planning consent for the development, following which their expert architectural and interior design work helped to create a fantastic new residential scheme. Their experience in the student and residential market was invaluable in ensuring we maximised the potential of the site.